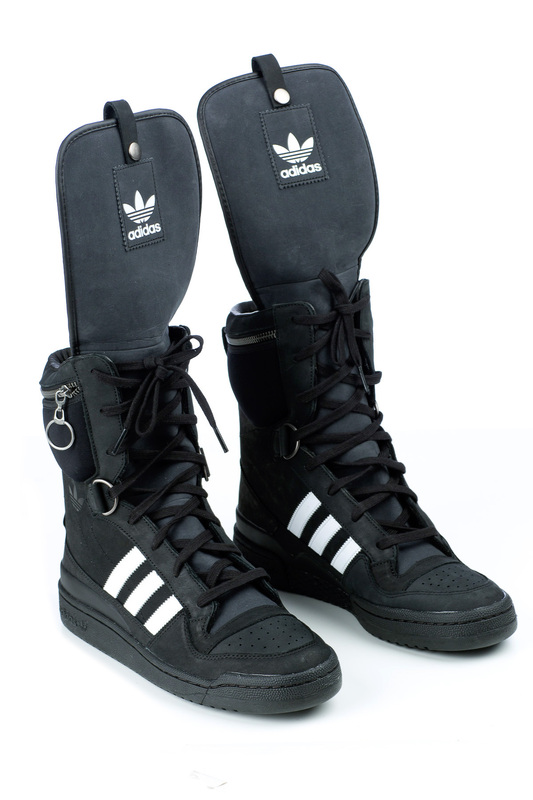 Today's So Shoe Me is the JS Tall Boy by Jeremy Scott X Adidas Originals, $250, available at Opening Ceremony. Play with the big boys in this oversized sporty striped sneaker by Jeremy Scott X Adidas Originals. Rad+Retro 90s details like the high top style and triple striped upper add grunge gurl appeal to this signature sneaker. The high logo labeled flaps can be worn up or down so you walk quietly or stomp on depending on your mood. As an added bonus these high tops have a zippered pocket for hiding cash, lip gloss or whatever you'll need. Pair these unisex uniform staples with a sporty oversized jersey and heavy gold chain for a street ready look with a little bit of boyish charm. So Shoe Me a pair of sporty high top sneakers that will add a tough 90s edge to my everyday basics.